More and more online retailers (especially the start ups and the ones that are still trying hard to establish themselves as a brand) are taking the risk of investing and consequently benefiting from Google Shopping. However, the small retailers are particularly apprehensive about how beneficial it will be in the long run by trying to compete with bigger names that have already established themselves as reputed brands. But there is hope for the small retailers too. In fact, experts are of the opinion that as a small business retailer, you always have the option to make it big in the virtual world by using the concept. But let us explore how. Prior to that, a brief explanation about the concept of Google Shopping has to be deciphered for the layman and how you can execute the marketing campaign. 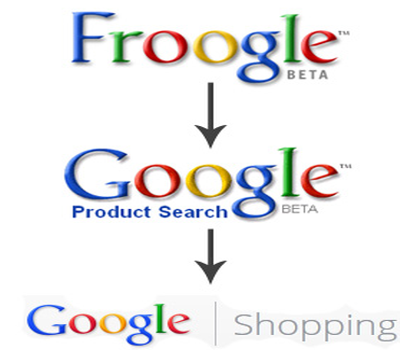 Formerly Google Shopping was referred to as Froogle, which later on assumed the name Google Product Search (April 18th, 2007). Eventually it came to be known by what it is known today, Google Shopping (May 31st, 2012). It is basically a Google service that helps online shoppers to compare the prices of services and products offered by e-commerce websites/vendors. Until May 2012, it was “monetized through ADWords” but later it assumed the role of a paid model. Having said that how will you benefit from this online shopping comparison tool if you are an online retailer, regardless of whether you are established or yet to carve out a niche for your business on the virtual world. The following paragraphs explain the same. Selling products that are similar to the ones that are already available online will not put you at a very favorable position as far as attracting your prospective customers is concerned. Do your bit of homework, study thoroughly the market, the products and services that are already being sold online and then launch a product or a service that will be different from what others have to offer. This will allow you to enjoy a competitive edge over the other retailers. Just because your brand is upcoming does not necessarily mean that you don’t stand any chance. Take chances and have confidence in your products. Assuming that yours is not an established brand as yet, it is even more important to study the global and local search results and volume accurately. Give yourself ample time to study carefully the queries that are related or at least closely related to your products and services. Most importantly, if you find that the query is in a language that is other than English or the language most commonly used, you can choose to include keywords that are regional or local too. The best would be to use the Keyword Planner, which can help you to select the keywords or key phrases that will be of help to you. Bidding is not very much desirable when you are advertising your products or services in Google Shopping. If you think that the manner in which CPC works is similar to the concept of enhancing sales in the case of Google Shopping then it is time to revamp your thinking. Seek professional assistance if required to understand how the concept of CPC works in the case of Google Shopping. Last but not the least, never undermine or underestimate the quality of your products just because it is not an established brand. Perseverance, a positive attitude, patience, determination, and an urge to rise to the top is what you need to concentrate on if you want to establish your business and make it an enviable business identity and enjoy an edge over the other retailers in the virtual world.